Suitable for 8-10mm thick glass door.? Used to connect two fixed glass panels meeting at 90 degree, or as a bracket for horizontal glass shelves within the enclosure. 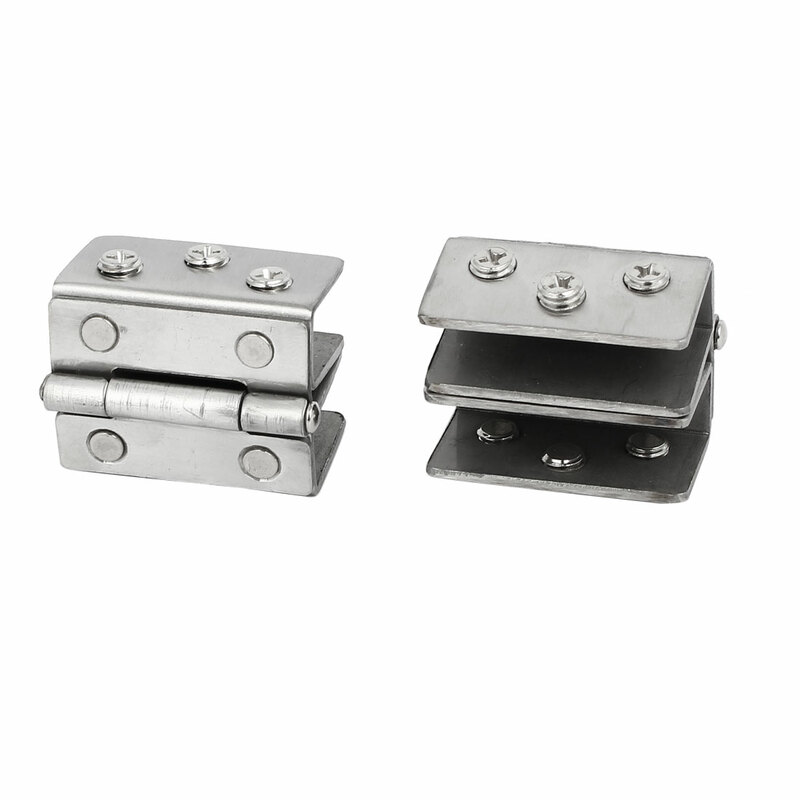 Metal axle loaded type is convenient to open and close, make less noise. Open Size: 45mm x 53mm x 16mm / 1.8" x 2.1" x 0.63" (L*W*H); Fit Glass Thickness: 8-10mm / 0.3"-0.4"
Hole Size: 7mm / 0.28"; Hole Distance: 15mm / 0.6"